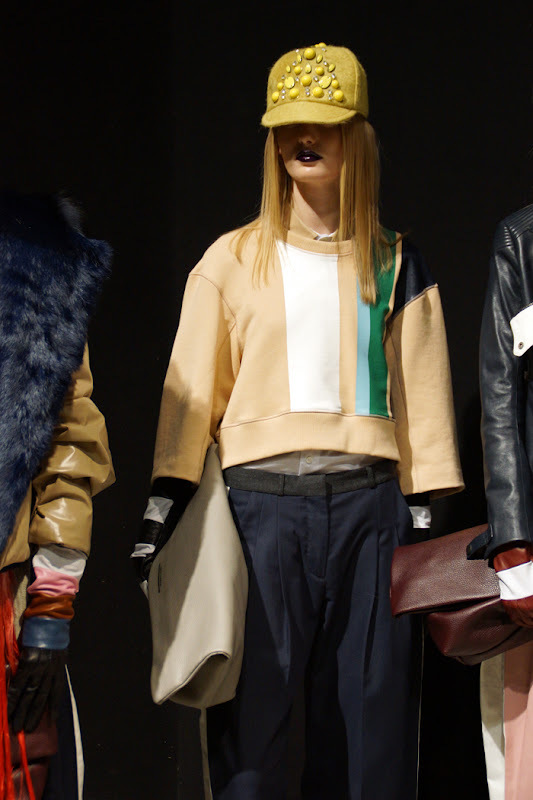 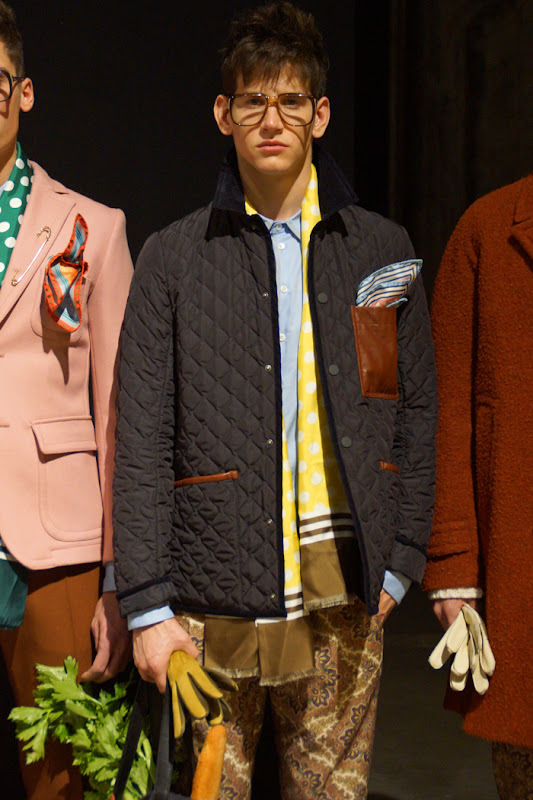 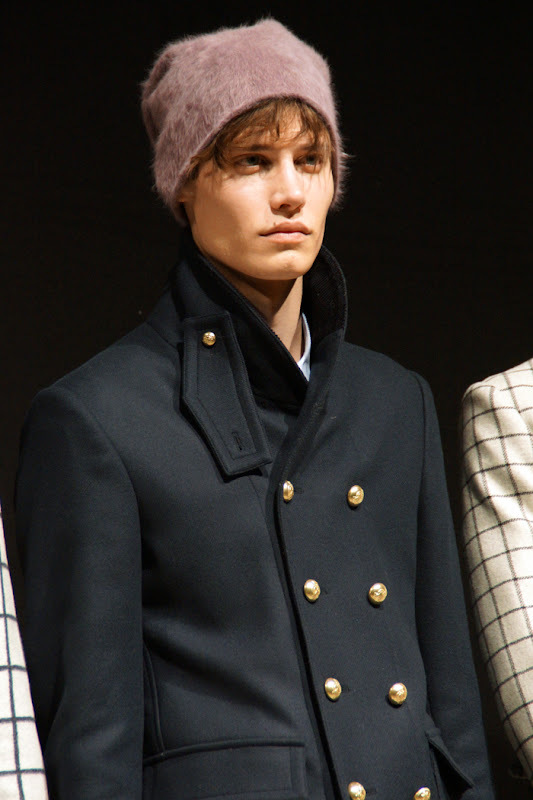 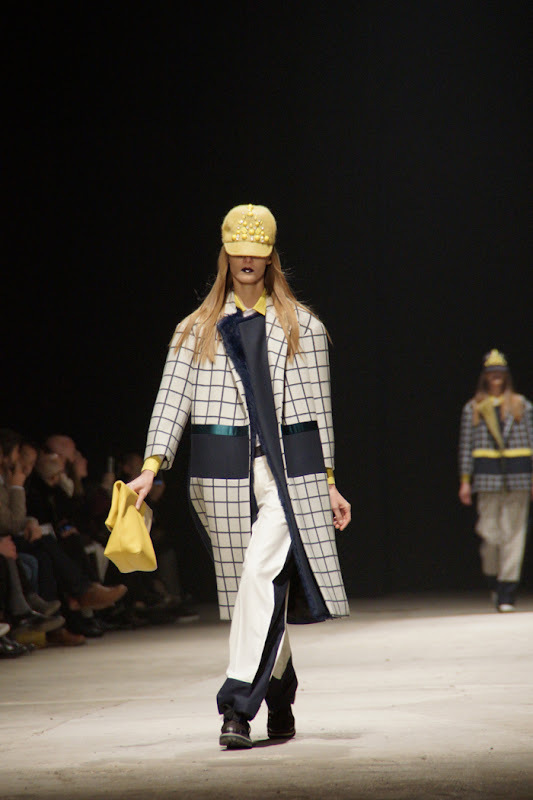 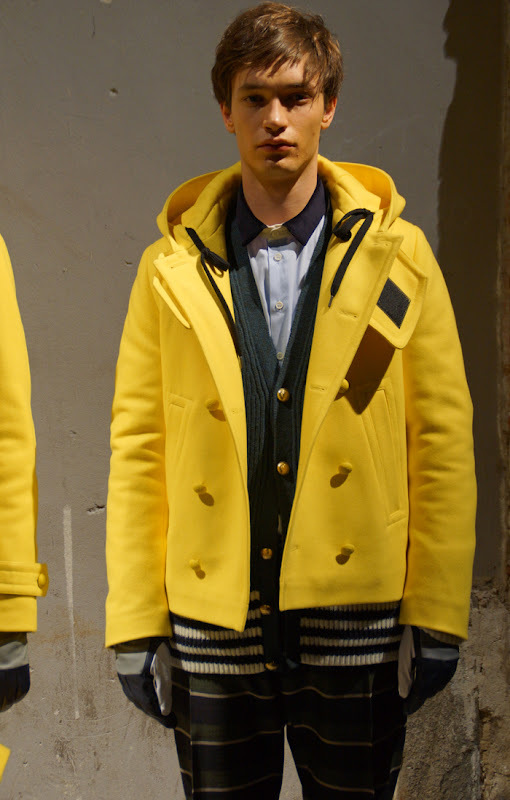 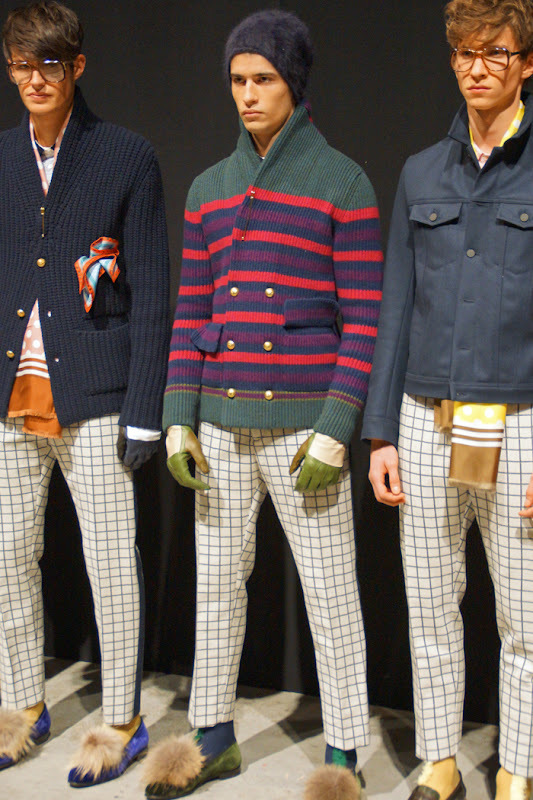 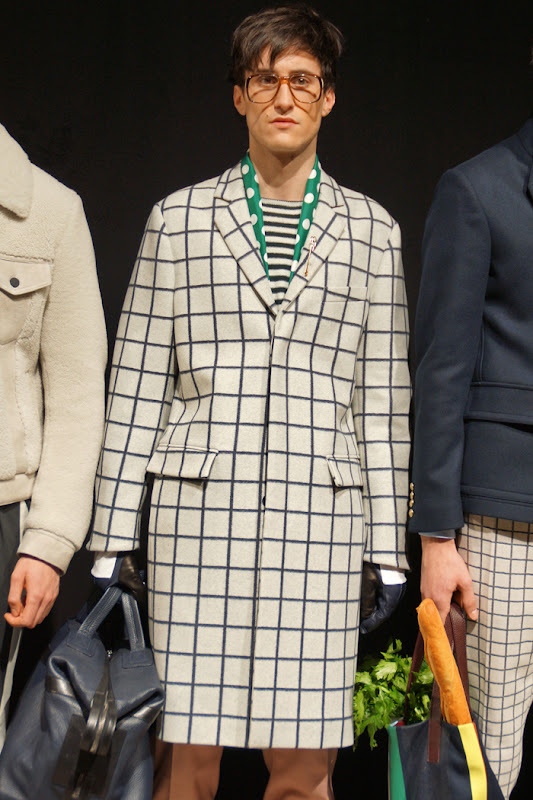 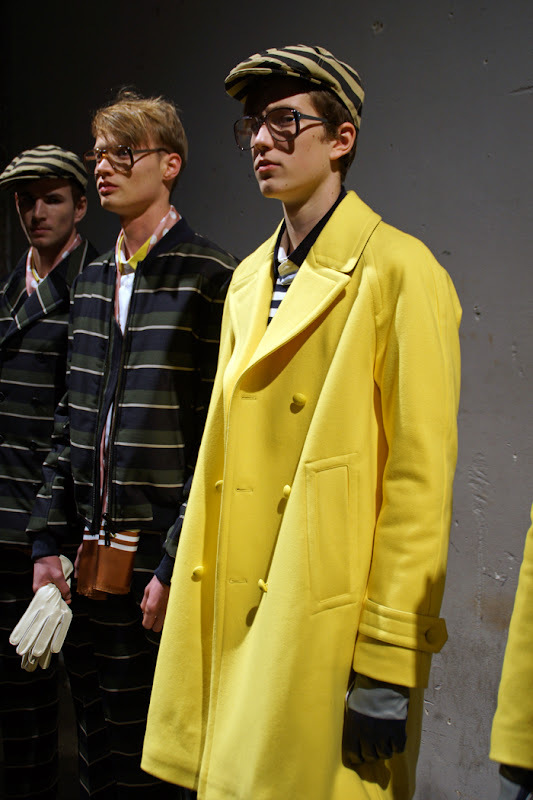 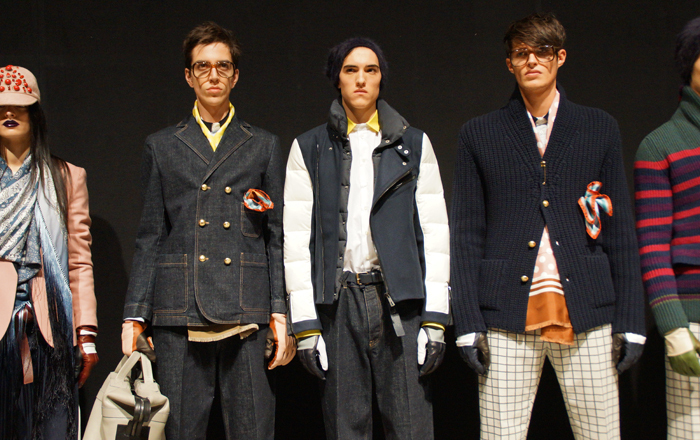 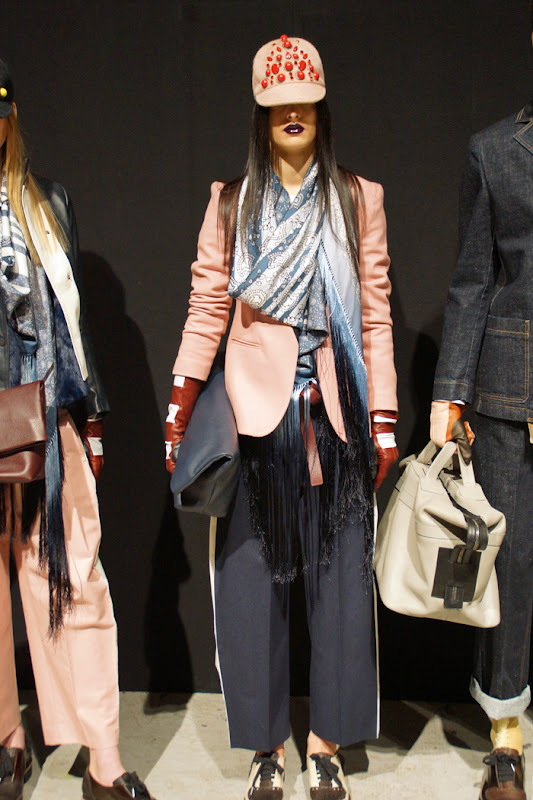 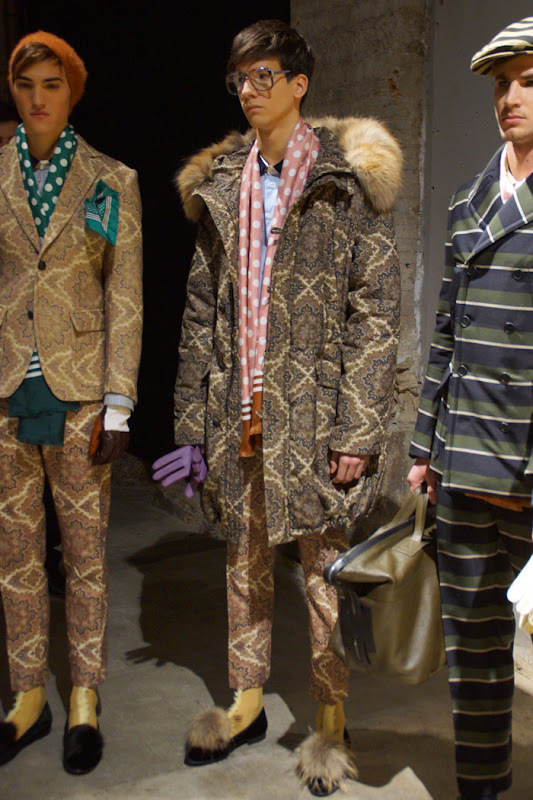 Andrea Pompilio's return for the Autumn/ Winter 2013-14 Season featuring the presentation of his regular men's collection and also his first ever capsule women. 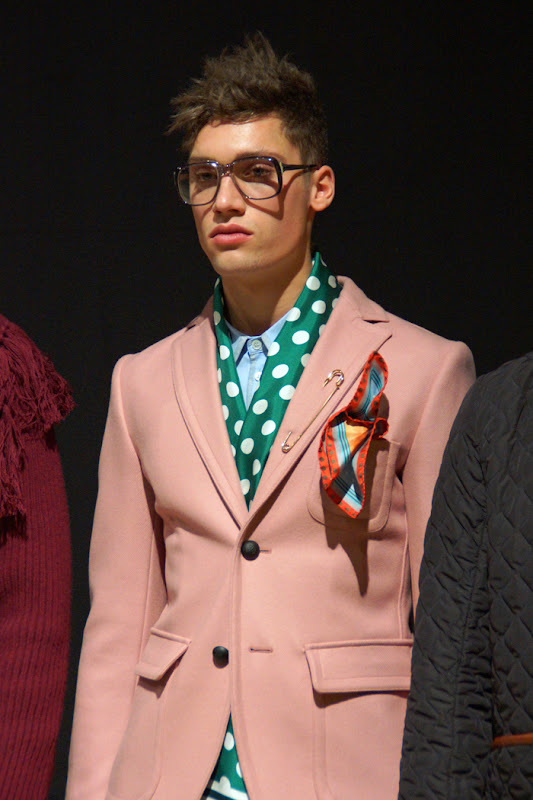 Shiny an colourful, playful and elegant, squares and dots, modern dandy sparkling allure full of print and bright masculinity, a sporty woman on the other side. 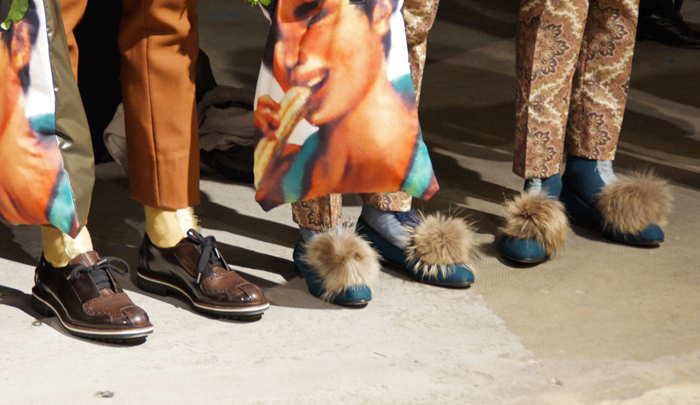 Pom-pom slippers, cashmere, wool and leather in bags, gloves and accessories.